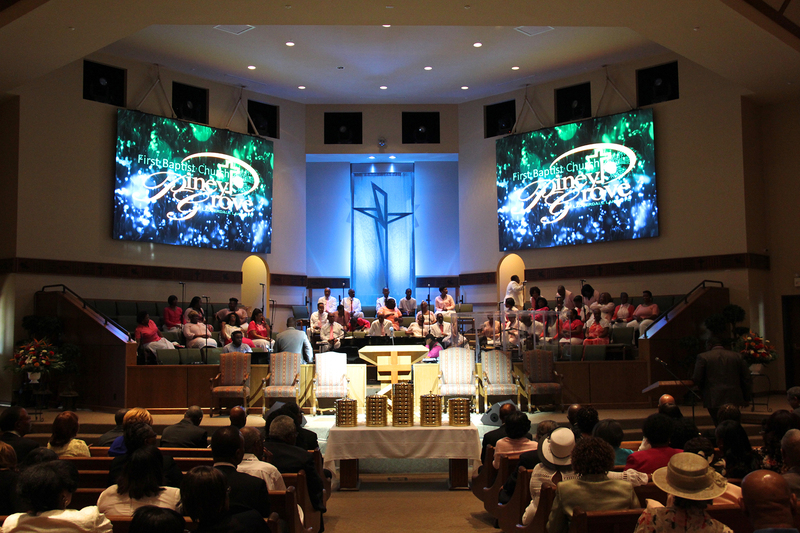 Church History | First Baptist Church Piney Grove Inc.
To this congregation belongs the distinction of being the city of Ft. Lauderdale most unusual church. 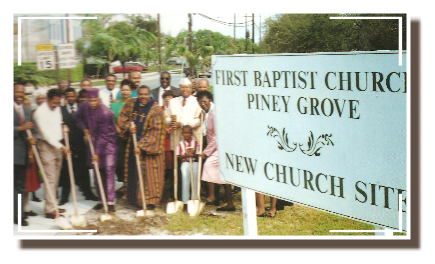 The church was organized under the name Piney Grove Missionary Baptist Church in 1904, under the pastorate of the Reverend B.F. Goodwin of Lemon City, Florida. Eleven members comprised the congregation. They were Reverend Shelly, Brothers Jack Norris, Joe Robbins, C. S. Bryant, Joseph Lewis, John Bell, and James Bynum; Sisters Monie Bryant, Mary Bell, Mary Bynum, and Lucretia Jordan Jackson. Sister Mary Bell named the church Piney Grove Missionary Baptist Church. It was located on the corner of Second Street and Brickell Avenue, under a bush arbor. Shortly after the church was established, a generous white gentleman, Mr. Thomas Bryant, gave permission to the members to use their schoolhouse to hold services. The building was located on the corner of Broward Boulevard and Third Avenue. Meetings were held in that building for only a few months. During that period the membership increased. Some of the new members were Brothers James R. Williams, Mansel Calloway, Sisters Viola Stewart, Rachel Calloway, and Jennie Lee Bragdon. After a number of years, the Reverend Thomas Allen was called, and it was under his leadership that C. S. Bryant was elected as chairman of the Deacon Board. The church bought Block 10 on Northwest Fourth Avenue. In 1911 the pastor and members disagreed and the church was sold. The members then purchased another lot on the corner of Second Street and Fourth Avenue, to find out later that they had built the church on the wrong lot. Within thirty days of that notice, the church purchased the lot on which the church had been built. The next pastor called was the Reverend Welcome Baker. During his tenure he ordained Deacon James Lewis (the first deacon to be ordained in Piney Grove Missionary Baptist), J.R. Williams, and R. C. Williams. 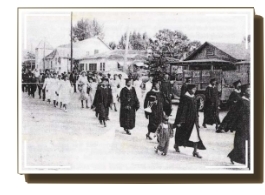 Sisters Monie Bryant, Viola Stewart, and Lucretia Jordan Jackson served as the first deaconesses. Sister Mary Bell was elected as the first clerk of the church. Others who served as church clerk during this period were Brother Cornelius Matthews and Sister Ella Wise. After a number of years, the Reverend Baker took his leave and the next pastor called was the Reverend William Driver. He served for seven years. Under his administration the edifice was enlarged, many members were added to the church, and an organ was purchased. The first organist was Sister Arnetha Dames. Sister McDaniel of West Palm, Florida organized the first Woman’s Home Mission Society. Sister Monie Bryant served as president. 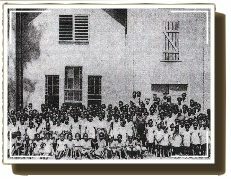 The First Baptist Young People’s Training Union (BYPU) was organized by Sister Janie Morris of Miami, Florida. Sister Viola Stewart served as president. The Reverend A. H. Hamilton was called as the next pastor. However, he served for only a few months. After the departure of Reverend Hamilton, the Reverend W. W. Williams was called. He served faithfully for only a short time before he was called to rest from his labors. Looking to the supreme Master, the church with undying faith was able to master the business until the next pastor was called, the Reverend J. T. McCord. The Reverend McCord served three years and six months. The church was without a pastor for eighteen months. It was during this time, under the leadership of Deacons Joseph Lewis, I. W. Williams, and Phil McNair that a tower was built onto the church. In 1919, the Reverend T. M. Sapp was called and served faithfully until 1926. After the departure of Reverend Sapp, the Reverend Dinkins was called. The church began to grow rapidly. Many converts were baptized and trustees were appointed. Brothers Maynard Stephens and Harlan Williams were the first trustees. The Reverend Stokes came to serve immediately after the departure of Reverend Dinkins. During Reverend Stokes’ pastorate, the mortgage on the church, in the amount of $551.00 was burned. The Reverend E. G. Thomas guided the flock for nine years and eight months. It was during this time that the Summer Vacation Bible School was organized. The Reverend Robert L. Holley was called as the pastor in 1941. During Reverend Holley’s tenure, the church site at 1100 Northwest Fourth Street was purchased, and the church was built at a cost of more than $90,000.00. The church was dedicated in March 1951. The mortgage was burned in 1954. Credit goes to Reverend Holley, his devoted wife, Mrs. Susie C. Holley, and members for the building of the beautiful edifice. Also, under the tenure of Reverend Holley, Choir No.2 was organized in 1948. Choir No. 1 served for 40 years as the only established adult choir that delivered spiritual messages through song to the church congregation. Failing in health, Reverend Holley resigned in December, 1955. As a demonstration of devotion and appreciation, the church retired Reverend Holley on a regular monthly honorarium as Pastor Emeritus. In 1956, the Reverend J. W. Toomer was called. He came from St. Paul Baptist Church in Anderson, South Carolina. The most sorrowful loss during Reverend Toomer’s administration was the expiration of Pastor Emeritus Robert L. Holley, in 1959. The Reverend Toomer served for ten years. Under his spiritual leadership and guidance many accomplishments were realized. One such accomplishment was the initiation of the 8:00 AM Sunday morning worship service, which was specifically designed for members who worked on Sunday and wanted to have an opportunity to attend church. In 1966, Reverend Toomer submitted his resignation. He was called to Shiloh Baptist Church in Orlando, Florida. On the eve of Reverend Toomer’s departure, a Pulpit Committee was officially appointed. The members of the committee were Mrs. Marie Holloway, Mrs. Susie C. Holley, Mrs. Ernestine Turner, Brother Arthur Kennedy, and Deacon Floyd Colden, Chairman of the Board of Deacons. After the departure of Reverend Toomer, the church was under the leadership of the Reverend I. W. Mizell and the deacons for a period of six months. The Pulpit Committee searched diligently for a pastor. After the presentation of a number of ministers, the Reverend Cornelius Vanderbilt Ford was called from the Bethel Metropolitan Baptist Church in Saint Petersburg, Florida. Reverend Ford officially began his pastorate on February 26, 1967. The church made forward steps under his spiritual leadership. In 1968, under Reverend Ford’s leadership, the church was incorporated and became known as First Baptist Church Piney Grove, Incorporated. During his administration, the Anthem Choir was organized, and later named in his honor, The C. V. Ford Anthem Choir. In 1978, the names of Choir No. 1, and Choir No. 2 were renamed The Gospel Choir, and The Sanctuary Choir, respectively. The Music Committee was organized, and one of its observances was the “Annual Choir Day.” Nationally, the B.Y. P.U. was changed to B.T.U., therefore, our B.Y.P.U. was re-structured under his administration. Reverend Ford served faithfully for twelve years. He was called to rest from his labors on June 21, 1979. Again, under the leadership of the Reverend I. W. Mizell and the deacons, the church continued to look to the Master with undying faith. A Pulpit Committee was officially appointed to search for a pastor. Persons who served were Deacons Andrew DeGraffenreidt, Chairman of the Pulpit Committee; Josephus Eggelletion, Sr., Chairman of the Deacon Board; Sisters Marie Holloway, Susie C. Holley, Virginia Hansberry, Mary Levine, and Bobbie Freeman; Brothers Rochelle Franklin, Richard Yeargin, Rodderick Gadson, and Meredith Singletary. On March 6, 1980, the church unanimously elected Reverend Samuel Milton Collier as pastor. Reverend Collier was installed as pastor on April 27, 1980. Soon after Reverend Collier took the reigns at First Baptist Church Piney Grove, Reverend Mizell was called from his labors May 23, 1980. Under Reverend Collier’s leadership the mortgage for the educational wing, which was added under Reverend Ford’s administration, was paid off. Wayne Robinson was hired as the first Minister of Music. The Celestial Choir was organized, and was referred to as “The Early Morning Choir.” A new organ was purchased. The Bus Ministry was initiated with the purchase of a van. The program was designed for those senior citizens (The Precious Gems) who needed a ride to church. It was also designed to keep the Precious Gems actively involved in church and community activities. The educational wing of the church was re-roofed. Additional Sunday School classes were added and a Prayer Breakfast was initiated. With prayer and togetherness as the basis of Reverend Collier’s program for the church, there was evidence of growth in membership and emphasis on watch-care (visiting the sick and shut-in and caring for their needs.). It was under his leadership that we joined the county’s Meals-On-Wheels program. Reverend Collier resigned from the church in June, 1985. The Church was without a pastor for approximately three years with Reverend Elmer R. Shell serving as the Interim Pastor. Again a Pulpit Search Committee was appointed with the following members: Deacon Carl Crawford, Chairman; Sisters Margie Dallas, Lucy Lamar, Deacon Charles McLymont, Nathaniel Hankerson, Franklin Johnson, Bennie Levine, Harold Minnis and Bob Young. Sister Constance Staten provided the committee with efficient clerical assistance. In the 83rd year of First Baptist Church Piney Grove’s history, February 1, 1987, Reverend Alfred L. Pugh became our Pastor. He and his wife, Mrs. Cleora Pugh, joined our Church Family. Under Reverend Pugh’s administration, numerous accomplishments were realized. First Baptist Church hired a Minister of Christian Education and Youth; the Reverend Rufus M. Mosby. A module was acquired and used for Rev. Mosby’s ministries. Adoption of a church-wide plan for Christian Stewardship and a medical clinic in Bourg Champagne, Haiti in cooperation with Canaan Baptist Church of Philadelphia, Pennsylvania were some of his accomplishments. During his administration, he proposed, and it was approved, the abolishment of the existing music program (the choirs). It was re-structured to – Mass Choir, Adult Choir, Brotherhood Choir, Youth Choir, and Junior Choir, which was later named “The Black/Tunnage Junior Choir” in honor of its former musician and director of many years, Mrs. Emma Black and Mrs. Royetta Tunnage. On the first Sunday in October 1994, Reverend Pugh retired after seven years of service. During the absence of a Pastor, the Church once again elected Reverend Elmer Shell to serve as Interim Pastor and a Pulpit Search Committee was appointed with the following members: Deacon Arnold Tolbert, Chairman; Deacon Ashley Robinson, Sisters Geraldine Thomas, Deaconess Eddie Pearl DeGraffenreidt, Sister Ernestine Turner, Sister Joi Bradley, Brother Roosevelt Davis, Brother Richard Black and Brother Bobby Bolden. Reverend Joseph L. Roberts our 19th Pastor, was called. He came to us on November 12, 1995 and was officially installed Saturday, February 17, 1996. On January 23, 1996, Reverend Rufus Mosby was called to rest from his labors. Out of these 92 years, First Baptist Church Piney Grove has been supremely blessed. Since the year 1995, First Baptist Church Piney Grove’s history continued on the rise with Reverend Joseph L. Roberts, as Pastor, and his lovely wife, Mrs. Jaris Roberts. Deacon Arnold Tolbert served as Chairman of the Board of Deacons. November 1995 Pastor Roberts was busily going about our Father’s business. Under Pastor Roberts’ administration, numerous accomplishments for Church improvements, financial achievements and other accomplishments were made. A few among the many are: First Baptist’s budget was doubled; and its membership grew considerably. The Human Services Corporation was established for community improvement, drug rehabilitation, tutoring for after school for school age children program, assisting senior citizens; purchasing of New Computer System to meet the standard of demand; Aids ministry; reinstated Bible-study-Noon day prayer service on Wednesdays; Bended-Knee Prayer Ministry; Hired a full-time Administrative Assistant; the first full-time Assistant Pastor, Reverend Robert Perry, was hired; Hired a full-time Minister of Music; and a drummer; Revitalized the feeding and clothing ministry; joined the SHARE program; Paid-off the mortgage on the parsonage; Formed a relationship with United Way, HRS, Juvenile Justice system, Aids Clinic and the Grandparents program. 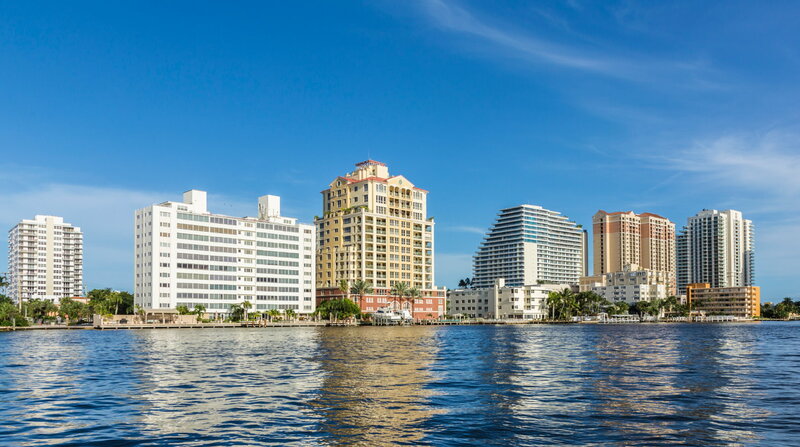 In 2004, Reverend Roberts established a year-long observance including the erection of a monument at the site of our original church site near the corner of Northwest Fourth Avenue and Second Street in Fort Lauderdale. 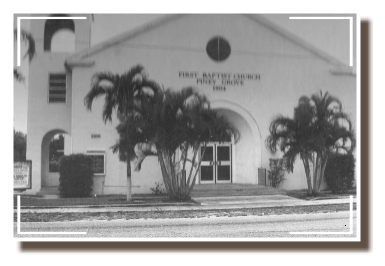 That site has been designated as an historic landmark by the City of Fort Lauderdale and the Fort Lauderdale Historical Society, because First Baptist Church Piney Grove is the oldest Baptist church in Fort Lauderdale. 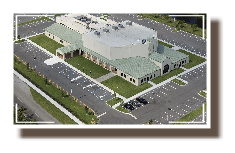 Also under Pastor Roberts’ leadership, 6.5 acres of land was purchased for a new church at 4699 West Oakland Park Boulevard. The construction of the new edifice began in 2003 and was completed in 2005. 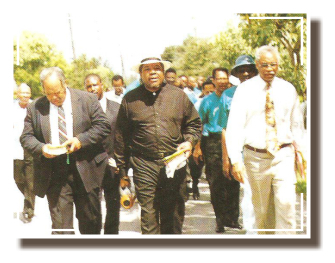 On April 9, 2005, Pastor Roberts led a motorcade on his motorcycle from the Northwest 4th Street church site to our new church in Lauderdale Lakes. Following the ribbon cutting, all members, friends, and the community were invited to tour the new church. Through Pastor Roberts’ efforts, all persons attending received souvenir bottles of water with the church’s logo. The month of May proved to be a busy month as First Baptist Church Piney Grove presented a “Musical Extravaganza” planned by Pastor Roberts. The Church Dedication was held on May 22, 2005. The building mission was complete and the ministry was about to move in a new direction. Many new members began to join the church and Pastor Roberts was ready with the restructured New Members Ministry to teach and prepare the new members for fellowship into the body of Christ. The first year in the new structure declared the marvelous wonders of God as the church membership rose to over 2000. The Children’s Dance and the Health Care ministries were re-established; a children’s nursery was provided for parents or guardians to keep their children during church services; a new mini bus and a van were purchased; a playground was added and an automatic handicapped door mechanism was installed. In 2005, Dr. Benjamin Stephenson collaborated with Ebenezer Baptist Church in Hallandale Beach, Florida to bring Success Camp to our church as its second site. Dr. Stephenson and Mrs. Kathy Turner worked tirelessly to lay the ground work for launching the program. Dr. Eloise McCoy-Cain was invited to serve as the Program Director, and served in that capacity for three years under the auspices of Ebenezer Human Services, Inc. In 2009, Dr. Cain, along with the dedicated assistance of Mrs. Kathy Stephenson wrote a grant to continue the program for an additional four years. Success Camp at First Baptist Church Piney Grove has successfully operated as one of the church’s community service programs. had our first formal fellowship dinner, and our first fellowship cruise both spearheaded by the Mortgage Reduction Ministry. We also had our first backyard cookout. Under Pastor Roberts’ leadership a new ministry was established for boys and young men, Iron Sharpens Iron. On December 9, 2006, we laid a capsule in the cornerstone of the edifice. In biblical times the cornerstone told you which direction the foundation would go and how high to build. Our cornerstone is laid in the chief cornerstone: Jesus. Some of the items that were placed into the wall of the edifice were: Bible, Hymn Book, Pictorial Directory 2001, 1996. In June of 2008, Mr. Lennard Robinson, with the assistance of Ms. Gwendolyn Adams with her proficient planning and implementation skills, established the first Summer Camp. Ms. Brigitte Brihm served as the first Summer Camp Director. The camp was a 10 week program with an enrollment of 57 campers, two teachers, two senior counselors and nine junior counselors. The curriculum which included Bible Study, academic re-enforcement, arts, crafts and field trips. The first year of summer camp was a great success. In August 2008 after twelve years of faithful service, Reverend Joseph Roberts retired as senior pastor. Our Assistant Pastor, Reverend Robert Perry was given the responsibility of shepherding our flock as Interim Pastor. A Search Committee was organized in order to select a pastor. It was Rev. Perry’s prayer that we will become a full service church. On February 3, 2009, Deacon Donald Campbell, Chairman of the Deacon Board convened the Pastor Search Committee to begin the process of searching for a new minister. He entrusted to the Search Committee the mission to seek the Holy Spirit’s guidance and directions in the process of leading First Baptist Church Piney Grove to accept the man that God will send to us. Deacon Ernest Arterberry was elected Chairman of the Pastor Search Committee. Deaconess Veronica Phillips was elected Secretary and Sister Gloria Warren was elected Chaplain. Other members of the Pastor Search Committee were Deacon Jerry Covington, Deacon Stuart Pinnock, Deaconess Dorothy Cook, Sister Ardra Davis, Sister Akilah Gibbs and Brother Tau Manigat Chatman. The Pastor Search Committee reviewed over 160 resumes, submitted for the Pastor of First Baptist Church Piney Grove. Three pastors were invited to provide Bible Study, preach two sermons and meet and greet the congregation. On July 11, 2010, the congregation voted to call the Reverend Dr. Derrick Joseph Hughes, Pastor of Springdale Baptist Church, Memphis, Tennessee as our Pastor! 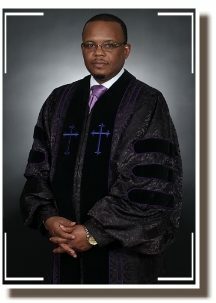 The Reverend Dr. Derrick J. Hughes became our Pastor on July 11, 2010. 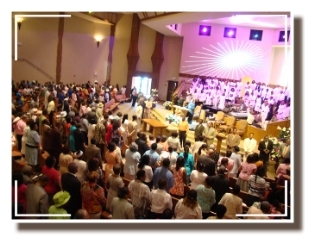 On October 30, 2010, Reverend Hughes held a “Vision Casting Session” for the church. Reverend Hughes’ vision includes moving the church into the “Living Church Model”. 7. PRAISE – Worship God continuously; Worshipping God. The Living Church Model will consist of an Executive Director of Ministries, Directors of each of the Living Church’s seven categories and Coordinators. To introduce the Broward County Community to our new pastor, a reception in the First Baptist Church Piney Grove’s Holley/Mizell Fellowship Hall was held for Reverend Hughes. Guest included pastors, local city mayors, school board members, principals, assistant principals, local politicians and members of the community at large. It was a great coming together of community and pastor. 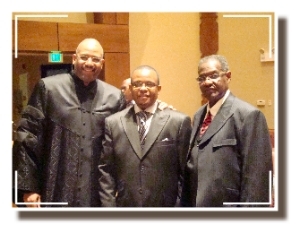 During the week of January 10, 2011, pre-installation worship services were held for Pastor Hughes. Guest pastors preached inspiring sermons to welcome our new Pastor. On Wednesday, January 13th, the renowned gospel recording artist Smokie Norful blessed us with a soul stirring concert. On Friday, January 15th a banquet, the likes of what Broward County has never see was held for Pastor Hughes and his wife, Mrs. Deborah Hughes at the Broward County Convention Center. • Develop a community for Christians-Kingdom of God here on earth. • Become a 90% tithing church. Pastor Hughes’s mandate is to win souls for Christ. Since becoming Pastor, 349 NEW SOULS have been added to Christ, 144 by way of baptism. In addition to New Members classes, orientation now includes a logistical tour of the church to acquaint and the assist new members in familiarizing themselves with the physical features of the church. Reverend Hughes recharged the Stewardship Committee (formerly the Mortgage Reduction Committee) under the guidance of Sister Virginia Hansberry-Moore, to refocus on increasing finances through pledges. Members were asked to sign a pledge card committing to contributing beyond their tithes and offerings. Under Reverend Hughes’s leadership, Children’s Worship Service has developed into “Disciple Town”. A new curriculum is being used to teach our children about Christ and how to develop a close relationship with Him at a young age. Reverend Hughes has expanded the reach of God’s Word to the Broward County community. A weekly Sunday radio ministry, broadcasted on 1501 WAVS, was established to take the Word over the airwaves. Under Reverend Hughes spiritual guidance, participation in Bible Study, renamed W.O.W. (Worship On Wednesday) has grown tremendously. On Wednesday night, an average of at least 200 members attend W.O.W. A praise and worship period was also incorporated into W.O.W starting at 6:30 P.M. Prayer Meeting attendance has also grown. In February 2012, the W.O.W. Café was opened to accommodate congregants with an economical, delicious, and nutritious meal prior to attending W.O.W. Pastor Hughes’s vision from God will continue to lead First Baptist Church Piney Grove to win more souls for Christ. 4699 W Oakland Park Blvd.